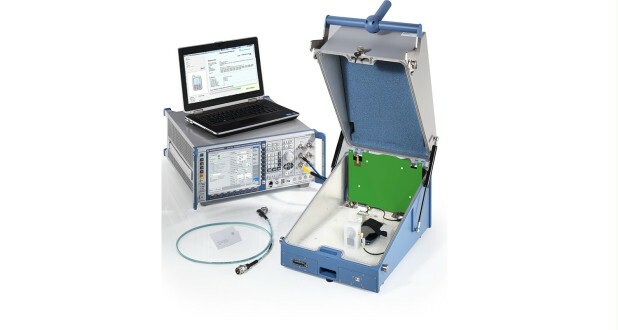 The R&S®CMW-Z10 with R&S®CMW-Z11 offering excellent shielding effectiveness and superior coupling characteristics, the R&S®CMW-Z10 can be used for frequencies up to 6 GHz. These outstanding features combined with a modular options concept make the RF shield box indispensable for any radio communications tester. The RF shield box is made of solid aluminum. It is firmly closed by means of a lever handle with a defined stop. 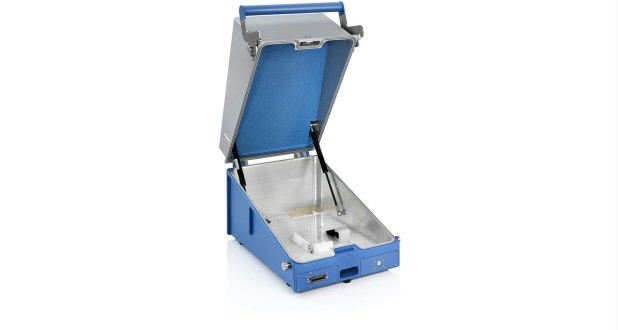 This ensures uniform compression of the sealing cords provided around the entire box . The cover is lined with absorber material, which minimizes reflections. The antenna structure on the antenna coupler board has been optimized to enable an excellent radio connection. The highly broadband spiral antenna allows a wide variety of applications. The R&S®CMW-Z10 with R&S®CMW-Z11 is suitable for applications up to 6 GHz, thereby covering all common wireless standards such as GSM, UMTS, LTE, CDMA2000®, WLAN, Bluetooth® and GPS. It offers high shielding effectiveness, so that the effects of external interference are reduced to a minimum. The cover of the RF shield box is lined with absorber material in order to minimize reflections. Strong reflections would cause a significant variation in attenuation as a function of the DUT position. The R&S®CMW-Z10 with R&S®CMW-Z11 has four module slots for different optional modules. Available options currently include a 25-pole D-Sub feedthrough (R&S®CMW-Z12), a USB 2.0 feedthrough (R&S®CMW-Z13), a twin N connector (R&S®CMW-Z14) and a 15-pole D-Sub feedthrough (R&S®CMW-Z15) for bidirectional audio testing. It is also possible to insert customer-specific modules. Even large DUTs, such as tablets, can be accommodated. 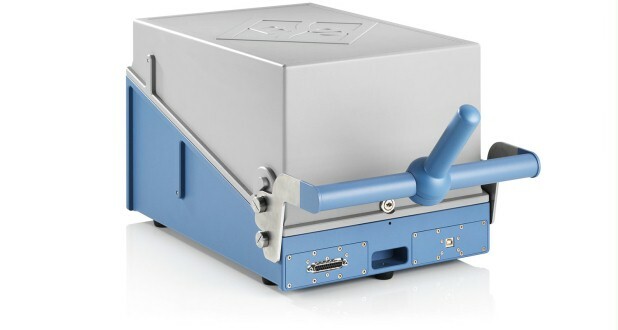 The RF shield box provides ample space for positioning DUTs to minimize the coupling attenuation between the DUT and the tester. 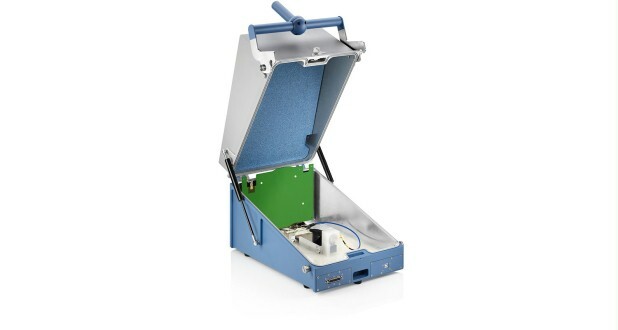 The RF shield box is designed to withstand the harsh conditions encountered in service and manufaturing environments. The closing mechanism has been optimized for ergonomic use, ensuring fatigue-proof handling while providing highquality results. The R&S®CMW-Z16 second antenna option, a circular polarized second antenna element, makes it possible to test transmit diversity antennas and multiple input multiple output (MIMO) systems. 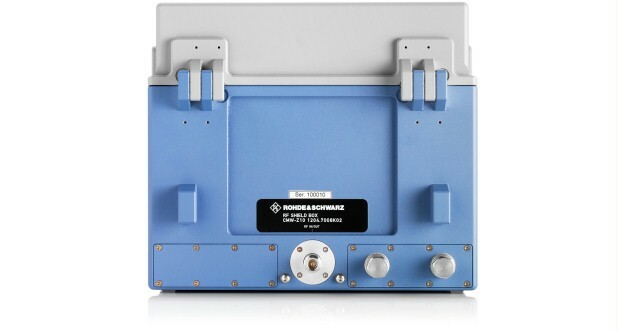 Mounted on the rear of the RF shield box, the R&S®CMW-Z16 allows radiated coupling of a MIMO DUT such as LTE MIMO 2x2. The standard antenna provides a coupling field in a 90° direction to the second antenna element (R&S®CMW-Z16). This provides the best coupling of MIMO devices in a near field environment. The R&S®CMW-Z15 audio measurement option offers the accessories required for bidirectional audio measurements in the R&S®CMW-Z10. The microphone and loudspeaker needed for the audio measurements can be optimally positioned within the RF shield box. 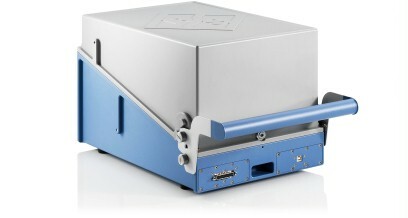 The audio signals are transmitted via a shielded D-Sub feedthrough to minimize the effects of external interference on the shield box's characteristics. 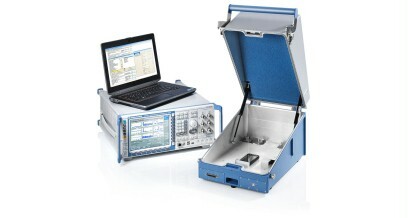 Audio signals are transmitted over the RF interface to a radiocommunications tester's audio code/decoder. The audio path can be measured by comparing the original signal to the recovered signal. requires the R&S®CMWrun software option R&S®CMW-KT104 plus dedicated signaling extension for control and evaluation of video quality based on barcodes. standalone operation requires R&S®CMWrun software option R&S®CMW-KT104 plus dedicated signaling extension for control and evaluation of video quality based on barcodes. 1)Height is reduced by 5 mm (0.2 in) when base plate is not used.